Arrive at least 15 minutes prior to your first ride (please note that riders arriving more than 5 minutes late to class will not be allowed into the studio). Set up your account online before arriving at the studio so you can take full advantage of our Bike’s advanced metrics while you ride. Dress comfortably in your favorite workout clothes. We recommend a loose shirt and form-fitting shorts or leggings. No need to worry about footwear-we'll provide your complimentary cycling shoes. Be sure to have a light snack before your ride, and drink plenty of water. 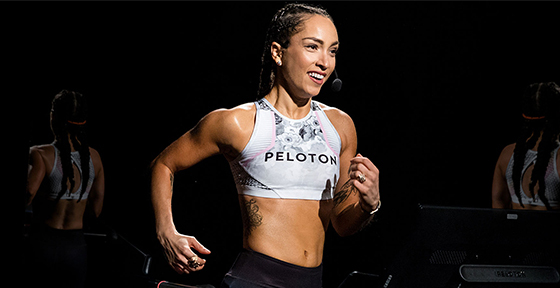 Our classes are livestreamed to Peloton bikes and app users worldwide, so please be aware that cameras will be flming in the studio during your class. Say hello to our front desk team, and let them know you're new to Peloton! They'll ask you to sign a short waiver, then you're ready to ride. *All riders must be 4'11 or taller and at least 13 years old. Anyone under the age of 18 must have a parent or guardian ride with them. 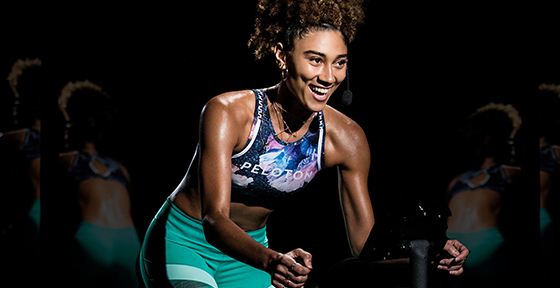 Our studio team is here to ensure your first Peloton ride is motivating, memorable and hassle-free. They’ll help you get you set up on your Bike, whether you need help clipping in, adjusting your seat, or logging in to your account. They’re also available in the room throughout the ride should you need help for any reason–just raise a hand. Let the team know whether you want to use one-, two-, or three-pound weights for the arms portion of your class. Once you’re settled in to your Bike, get logged in to your account and get ready to experience your new favorite cycling workout. Leave your worries (and your phone!) in the locker room. After your first ride, be sure to stay hydrated throughout the remainder of the day. If you experience any unusual or persistent symptoms after your ride, we recommend consulting a medical professional. If you have any further questions about your first ride, we're here to answer them. Give us a call at (646) 277-4497. We can’t wait to see you back at the studio! Sign up for your next ride and bring a friend! 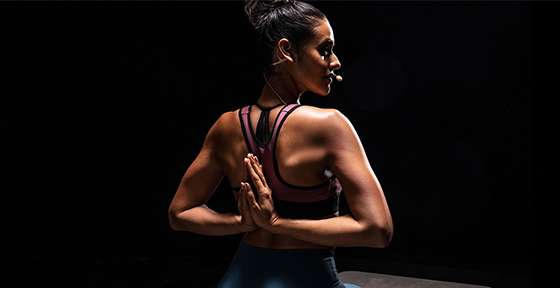 After your first ride, reward yourself with refreshments in the studio lounge, and rejuvenate post-workout in our spacious locker rooms, featuring showers, complimentary Malin + Goetz products, shower slippers, towels and hair dryers.